The Mets are in win-now mode with their strange reliance on 36 year old, recently PED suspended, Robinson Cano. They also got Edwin Diaz in the deal. He’s a young closer who’s only done it in the relative obscurity of the Pacific Northwest. Those guys are often inconsistent. They’re also reportedly looking into trading for Corey Kluber, which is kind of nuts. Kluber has been one of the best pitchers in baseball the last few years. But the reason he’s available from the Indians is because he is 33 and on the verge of a big payday. His contract escalates, from $10 million to $17.5 million and beyond, the next few years. When news of a Syndergaard trade first surfaced, the Mets were said to be looking to upgrade their farm system with a trade. And why wouldn’t they? Syndergaard will be the best bargain Ace in the game the next few years. His injuries are overblown and his September was one to remember. But something happened on the road to a competitive team and stacked farm system. Potential trades aren’t bearing the kind of fruit the Mets thought they would get. Let’s take a deep dive on some rumored deals. The most recent rumor from the MLB Network was a package of Manny Margot, Austin Hedges, and Mackenzie Gore. Margot, whom the Red Sox gave to the Padres in the Craig Kimbrel trade, has been a classic good defense, no-so-good offense, center fielder. In 2017 he hit .263 with a .721 OPS. In 2018, after the league had a look at him, he hit .245 with a .675 OPS. 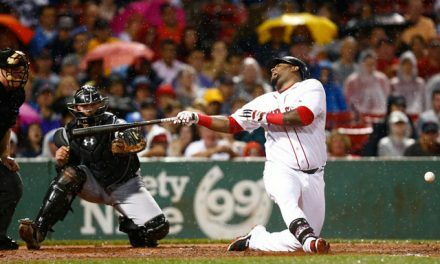 Think Jackie Bradley Jr without the hot streaks and superior defense. Austin Hedges is a catcher with slightly above average power, and little else. In 2017 he hit .214 with a .660 OPS, 2018 it was .231/.711. Mackenzie Gore is a highly rated young pitcher who gets a lot of strikeouts. He also walks a lot of people. Because of this, he had a middling 4.45 ERA in single A ball last year. The Rockies have a lot of young pitching. It may be just for show, but Assistant GM Zack Rosenthal told the MLB Network on Tuesday 12/4 that the Rockies are built on that young pitching and defense. This is a team that hits missile after missile into the glorious Rocky Mountain air. The team is also about to spend a record amount in arbitration on MVP candidate Nolan Arenado. Arenado is not making that kind of money for his gold glove defense at third base. He hit .297 with 36 Home Runs last year. So what does this mean? The Rockies may be deluding themselves into thinking their MVP candidates don’t matter and it’s all about the pitching. More likely, they’re negotiating in the media to reduce their arbitration cases with their hitters. But because of the money going to their hitters, they’re likely to keep the young starters they have. 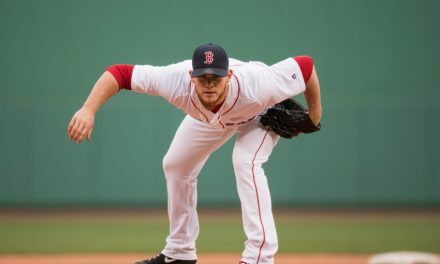 The Red Sox don’t have that kind of young pitching. Rafael Devers is better than anyone the Padres or Rockies can or will throw at the Mets. Margot is 24, Hedges is 26. Devers is still the tender age of 22. This precious youngster hit .284 with 10 home runs and a .819 OPS in part time play as a 20 year old in 2017, then .240 with 21 home runs and a .731 OPS last year. Furthermore, Devers hit .311 in the Postseason over his first 2 years, including 3 home runs and a .884 OPS in 45 at bats. That’s special. But he’s no Tony Conigliaro. The beloved Tony C hit .290 with 24 home runs and an .883 OPS as a 19 year old, then .269 with 32 home runs and an .850 OPS as a 20 year old, then .265 with 28 home runs and an .817 OPS as a 21 year old. 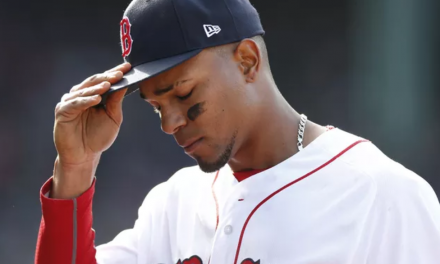 Devers will be worth holding on to, but not transcendent. That is why he’s worth giving up for the rare young, cost controlled monster, like Noah Syndergaard, who becomes available. What’s more, the Mets need a catcher. The Red Sox have a plethora. Putting Christian Vazquez, whose Postseason success means his value may never be higher, in a trade would be ideal. But the Sox could throw in Blake Swihart instead. A combo of either Swihart or Vazquez, with Sandy Leon as backup, would be more than fine for the 2019 Red Sox. If the Mets wants minor leaguers, give them some. The Red Sox have a weak system, but Devers is younger than most of the highly touted minor leaguers in the game. It would take less top young talent than some other teams. And now that Nathan Eovaldi is back, the Sox are freed up to include Eduardo Rodriguez in the deal if they need to. This gives the Red Sox more options. They don’t need to give the Mets everything, but widens the possibilities of how a trade could look. At the end of 2019 the Sox will have some choices to make. Chris Sale, Rick Porcello, and Xander Bogaerts become free agents at that time. Nathan Eovaldi’s contract is reported to be in the $17 million a year range. All three of those other guys will cost more than that. Then there is JD Martinez’s opt out. He’s currently being paid $23.75 Million. With his performance he will definitely be looking for a raise starting in 2020. Noah Syndergaard is in arbitration. He made $2.975 Million last year and, his projected earnings in 2019 are $5.9 Million. If he becomes a top 10 starting pitcher in 2019, watch out. Thor has three years of control left in arbitration. He won’t approach $20 million in salary until 2021 at the earliest. 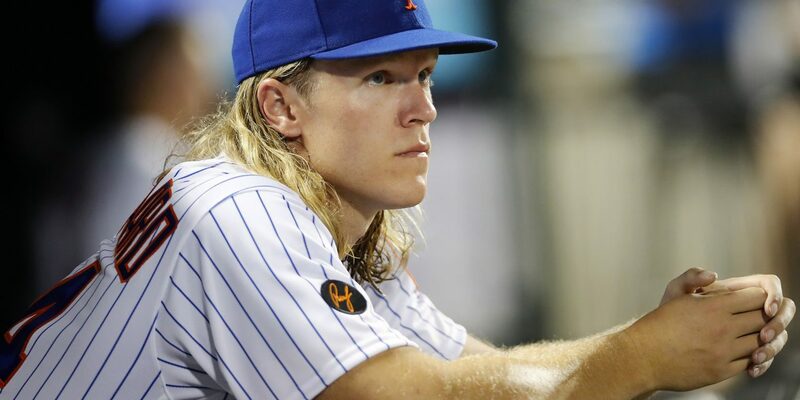 If Syndergaard is in Boston, there’s a lot more money for the rest of the team. There are reports of the Mets talking with the Marlins about JT Realmuto. They are itching to trade. The competition for Syndergaard is falling away. The Red Sox can solve the Mets catching problems. Fire up the Knights of Cydonia and let’s rock this trade Dave Dombrowski.